Canadian Yearly Meeting (CYM) is calling for proposals for a contractor to edit The Canadian Friend and to upload materials to our website, quaker.ca. 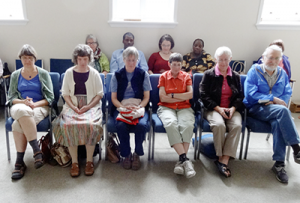 CYM is a religious organization of Quakers (Religious Society of Friends) in Canada. This is a maternity replacement for our existing contractor. The contract begins in September, with a period of overlap with the existing contractor anticipated until early October. We hope that both contractors will be able to work together on the fall issue of The Canadian Friend. Appointment will be for one year. The contractor will solicit material, edit and produce three issues of The Canadian Friend (CF), to appear throughout the year. Working with an editorial committee, the contractor will set editorial direction for The Canadian Friend. The contractor will receive requests for advertising in The Canadian Friend and communicate with advertisers. The contractor will work in InDesign, and send the issue of The Canadian Friend to the printer, as well as creating a PDF version to be posted on the website. Past issues of The Canadian Friend can be viewed at quaker.ca/resources/the-canadian-friend. The editor will solicit and receive additional content to be posted on quaker.ca. three issues of The Canadian Friend per year. regular posting of new material on the blog for quaker.ca (at least 2 posts per month). This is a one-year contract. Work is to be invoiced monthly, and will be paid at a rate of $35/h by the CYM bookkeeper following approval by the Clerk of Publications and Communications Committee. To apply, please send a letter outlining experience and interest in the position, with resume and any other supporting information. Questions and applications may be sent to cf-editor-search@quaker.ca. Applications should be received by Monday, July 17, 2017 by 5PM Pacific Time. Shortlisted candidates will be contacted by Friday, July 24, 2017, and notified of the final results by September 1, 2017.